Jay Z, hip hop superstar, entrepreneur, and husband to Beyoncé, has requested that his entire musical oeuvre be pulled from Spotify. According to Billboard, only two albums and a few stray singles remain—all collaborations: Unfinished Business (2004) and Best of Both Worlds (2002), both recorded with R. Kelly, “N——s in Paris” (Kanye, featuring Jay Z), “Numb/Encore” (a Linkin Park/Jay mashup), “All the Way Up” (Fat Joe and Remy Ma, featuring French Montana, Infared, and Jay Z), “Clique” (Big Sean with Jay Z and Kanye), and “Dirt Off Your Shoulders” (with Notorious B.I.G., may he rest in peace). It seems the rest was removed on April 7. 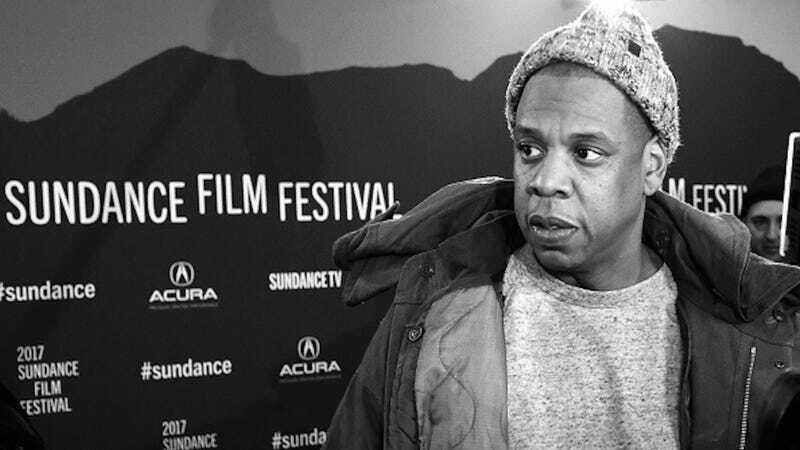 When Tidal launched in 2015, it was with sixteen investors not including Jay Z. Everyone involved works in the industry and some of the names have quite a bit of star power behind them: Beyoncé, Rihanna, Kanye West, Jack White, Arcade Fire, Usher, Nicki Minaj, Coldplay, Alicia Keys, Calvin Harris, Daft Punk, deadmau5, Jason Aldean, J. Cole, and Madonna. One of Tidal’s more alluring features is the exclusive content provided by these artists. Meanwhile, you can still find most of Jay’s catalog on Apple Music; the only exceptions are The Blueprint and Reasonable Doubt. Because Apple Music is a subscription service, artists earn more in royalties. Spotify, on the other hand, uses advertisements to provide free streaming, which results in more meager sums for the artists listed there. It’s likely Jay was more willing to make his music available on the service that yielded larger royalties.